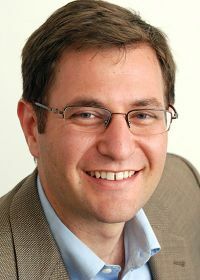 Jesse Rothstein is Associate Professor in the Goldman School of Public Policy and the Department of Economics at the University of California, Berkeley and a Research Associate of the National Bureau of Economic Research. His research focuses on education and tax policy, and particularly on the way that public institutions ameliorate or reinforce the effects of children’s families on their academic and economic outcomes. His recent work includes studies of the evaluation of teacher quality using student achievement data; the design of incentive compensation contracts for teachers; the role of family income in the black-white test score gap; and the effects of unemployment insurance on job search. His work has been published in the American Economic Review, the Quarterly Journal of Economics, and the Brookings Papers on Economic Activity, among other outlets. He has a Ph.D. in economics and a Masters in Public Policy, both from the University of California, Berkeley.